Panel fencing comes in a variety of different styles. 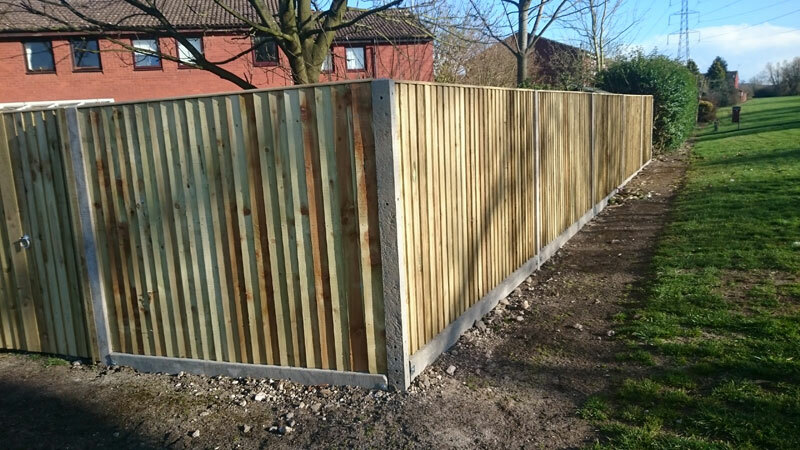 The panels slot into concrete posts and rest on concrete gravel boards for robustness and easy maintenance. They are very popular as a boundary fence and can be topped with trellis work for added interest and use. Each panel is a standard 6 feet wide but can be either 2, 3, 4, 5 or 6 feet high. They can, however, be cut for end panels. 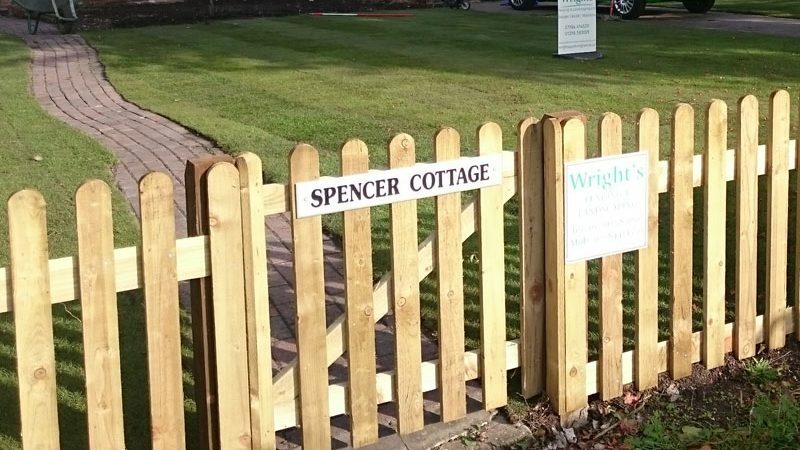 This extremely high quality fence is completely constructed of pressure treated wood (posts, rails, gravel boards, and feather edge boards with optional capping) can give up to 15 years of life. Using wooden materials, allows far more flexibility in areas with angled boundary lines as well as being able to build the fence in gradients. The feather board side of the fence gives an attractive continuous run that is unbroken by posts making it a popular choice for gardens. 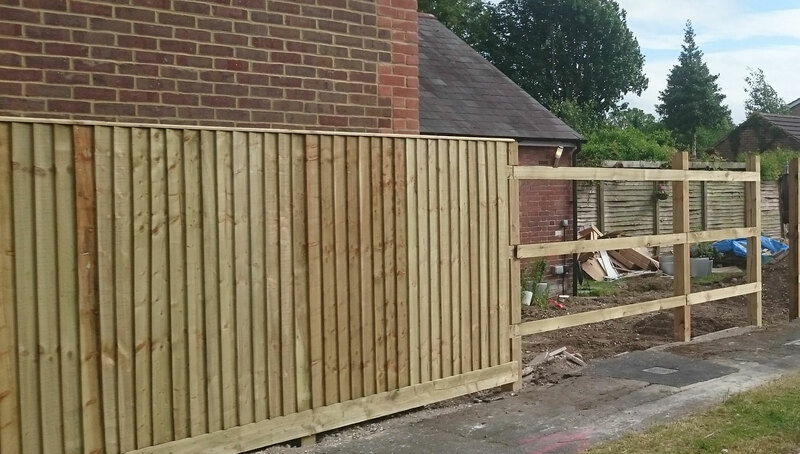 Picket fencing provides cost effective and attractive boundary fence. The vertical pales allow for visibility through the fence, but are still effective at keeping dogs in and small animals out. The picket bays are pre-constructed at 6' widths, usually at 3' and 4' heights and attach to treated wooden posts that are concreted in. The pales come pre-constructed in a pointed or rounded finish. There is also an untreated option for clients who wish to treat or paint the wood.